So its been a few weeks since my initial rant on emergency lighting. And i cant say things are better. 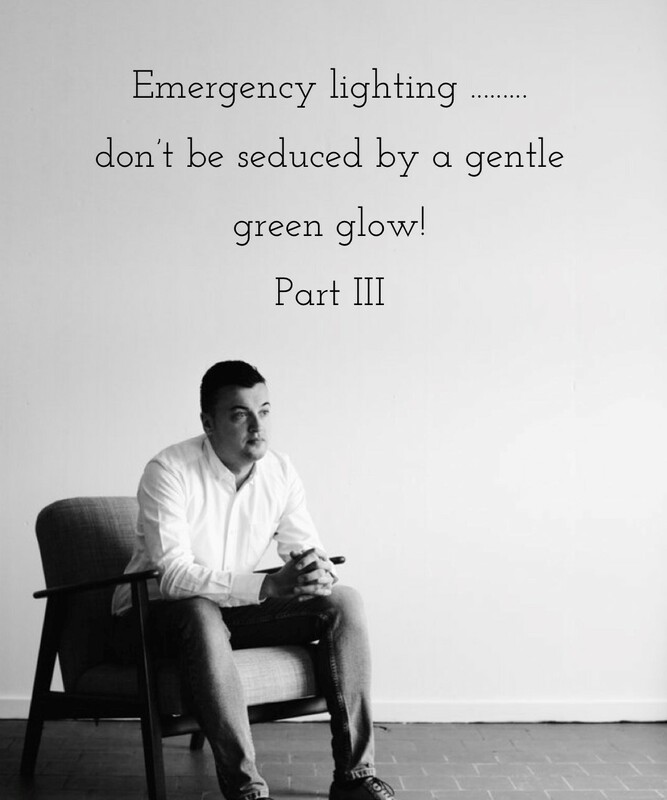 I have a question ……………… are you being seduced by a soft green glow? What i’m finding more and more is that emergency lighting systems may be in a bad state of repair, but it goes unnoticed. Why is this? I’m beginning to believe that this soft green glow given by an LED within emergency lighting is providing a false sense of security to the uninformed. 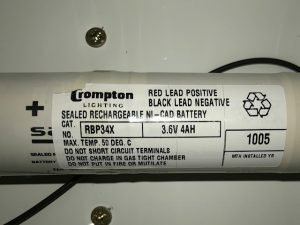 For anyone reading this who is unaware this is merely a light indicating the battery is charging. Here’s the pickle though! The batteries within these lights may be like the ones we have been finding and be original from installation. This means you may have a 10/12/14/18 year old battery which has been charging constantly for this period. Not good. Recommendations differ per manufacturer but a general lifespan for a battery is 3 to 4 years!!! 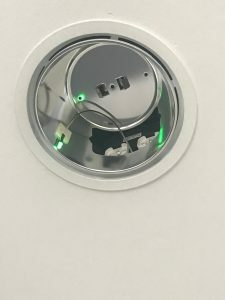 I’ve used the line ‘Just because it works, doesn’t mean its safe’ in promotional material before, but its more relevant than ever when it comes to emergency lighting. Don’t be fooled by the soft green glows, call FCS we’ll make sure it goes. Note: many of the sites we are visiting believe they have EMG lighting in hand. Because some other contractors are not up to speed with the requirements of BS:5266-1 2016. If you require any advice or assistance please get in touch.